It’s interactive – you can go in the door and look around!! “What a wonderful store. Why can’t I find anything like this back home? Such friendly service. The whole shopping experience was just so much fun! I hate, and I do mean hate shoe shopping. I just feel like I dropped into a portal of some kind and found shoe heaven when I came to this place. Comfort and style! And real service with a genuineness that can’t be beat. This place was the best shoe buying experience I’ve ever had. But they have so much more. 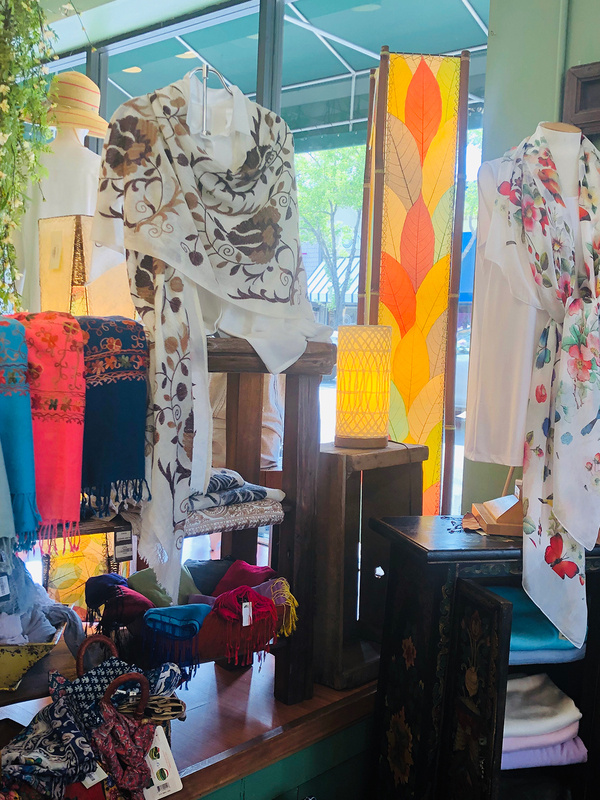 Beautiful clothes and fun whimsical items like gorgeous kites. I could get lost in this store and not come out for awhile. Instead both my fiancé and found one thing we really liked and decided to keep the rest of exploring for another time. I think because we both knew we could potentially spend way too much money in that place. It hit all the right points for to want to stay. “A family member told me about this store on Main Street in downtown Sebastopol that sells Eangee lamps. So when I was in town, off I went to Silk Moon. Eangee lamps are beautiful hand crafted lamps by artisans made from renewable and/or recyclable materials. Silk Moon had a small inventory of Eangee lighting products. They were beautifully displayed throughout the store. Since I have never been here before, I had no clue what they sold besides the lamps. As I walked into the store from the back parking lot entry, it brought me to the shoe area. 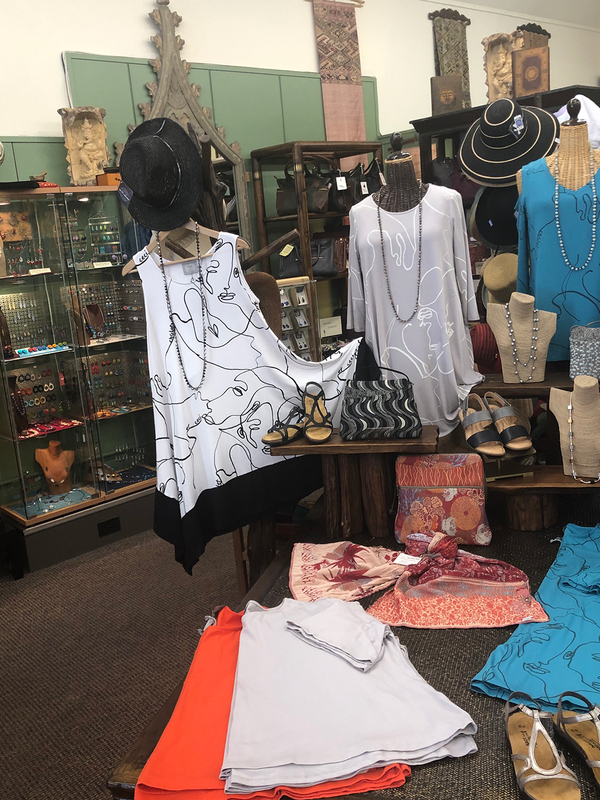 They have a variety of women’s designer quality comfort shoes ranging from stylish dress heels, summer sandals, and athletic shoes. 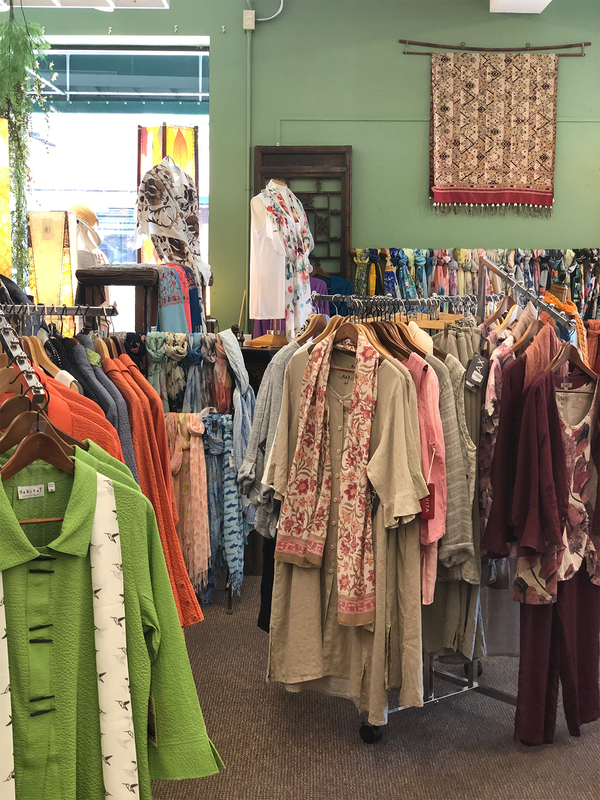 They also carry women’s clothes, some men’s clothes, hand crafted jewelry (affordable prices–I spyed copper hammered hoop earrings for $19), stationary, notions, hats (men and women), and small trinkets & knickknacks. Not everything in the store was my style though. But that is the great thing about this store; it has a diverse inventory of merchandise. 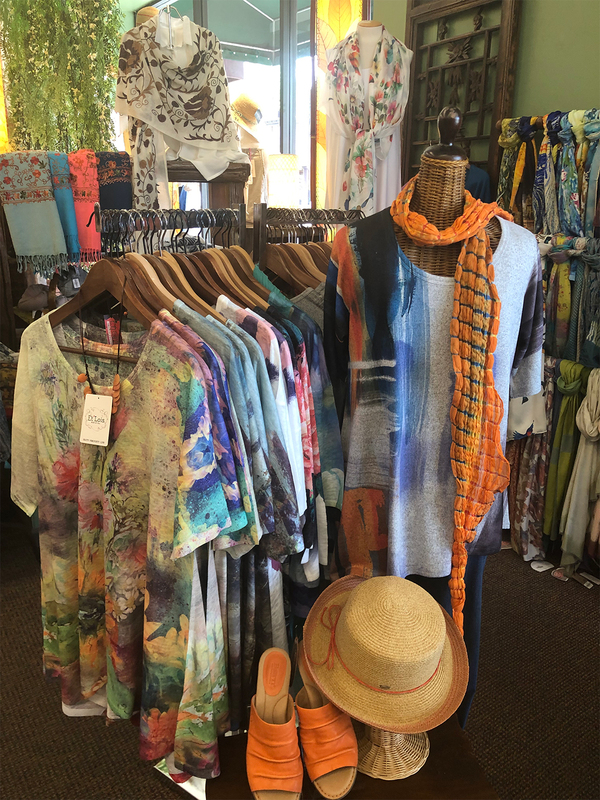 “This boutique-y clothing store in Sebastopol reminded me of the kind of place my grandmother would bring me when I was a little girl – not in a bad way – my father’s mother was always well-dressed and fashionable, and she took my sister and I shopping with her at places like Chico’s and cute little stores, just like Silk Moon Textile Arts. I walked around the store, not really finding anything but enjoying my browsing. They had a clearance rack in the back but items on that rack were still pretty expensive. A lady was sitting at a desk in the back, helping a girl with shoe selections. They had a lot of cute shoes. I’m more of a sock person though! I love fun, funky socks – and these they had a lot of fun. Really cute designs, including lots of ones with cat pictures, for less than $10 each.